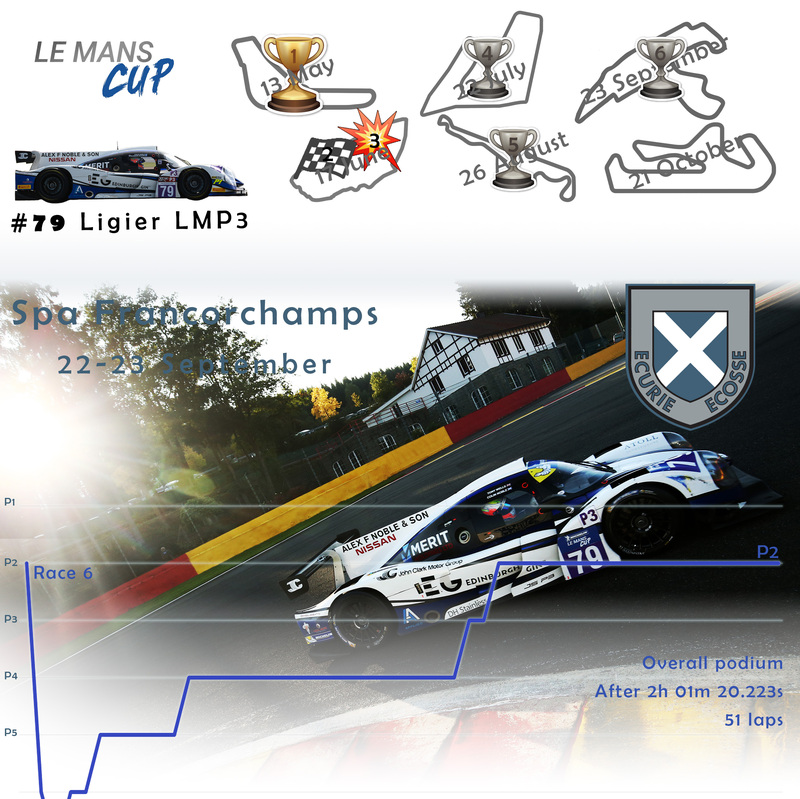 The final round of the Le Mans Cup proved to be bitter-sweet for Ecurie Ecosse as the team travelled to Portimao this weekend (20-22 October). A strong run in qualifying and then a great first stint from Tony Wells ultimately yielded a fifth-place finish as Colin Noble struggled with the handling of his Ligier. With second position in the championship all but wrapped up, the Nielsen Racing prepared team were looking to add to their great run of four podiums already secured. The weekend got off to a strong start with both Wells and Noble running in the top four in practice, before a great lap in qualifying from the former gave Ecurie Ecosse a front row start for the season finale. Wells made a great start, briefly taking the lead of the race before settling into second position behind the dominant #3 Norma entry. Under pressure from the Pro-driver in the #14, Wells allowed the car through to claim second position, aware that that would come back to Ecurie Ecosse later in the race. It was a fine stint from Wells who pitted third having kept the #79 Ligier very much in the hunt for the win. Noble was immediately on the pace as ever, quickly clearing the #14 to close on the #3 Norma in the race lead. Catching is one thing and passing another as despite Noble’s best efforts, he was unable to make the pass. Later the race winning #3 would be excluded for fuel irregularities adding further frustration to the race weekend. He continued to push hard to try and gain the lead, but found his tyres going away and as a result, suffered increasingly from understeer which ultimately resulted in two drive-through penalties for track limit infringements. Noble took the chequered flag sixth, later to be promoted to fifth. The result gives the team 90 points, second in the standings as they now begin preparations for the 2018 challenge ahead. Drivers interested in joining the team for the 2018 season can now apply here.